Dry farming is not an option on the Black Sage Bench. As a result, principled and precise deficit irrigation is critical. 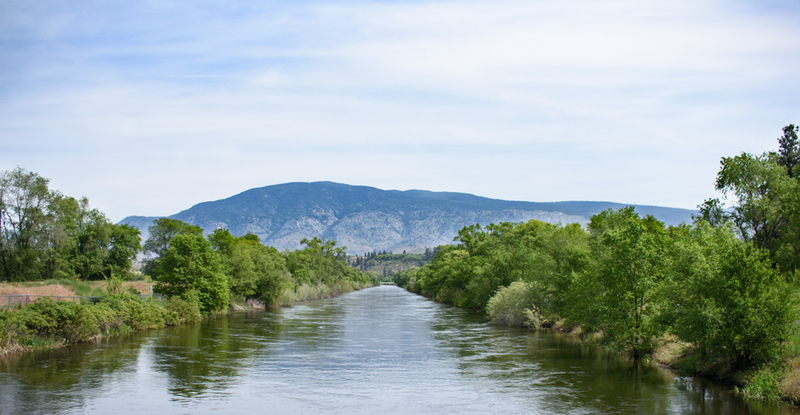 There are a number of factors necessitating irrigation in the South Okanagan. First, there is relatively low precipitation. The “Okanagan Desert” nickname exists for a reason. The town of Oliver averages approximately 300mm of precipitation per year (250mm of rain); vines generally require at least 500mm. This helps to explain why the South Okanagan only became an agricultural zone after the introduction of an irrigation canal in the 1920s. Orchards, the focus at the time, also needed more precipitation than the valley could provide. To put the South Okanagan in a global context, 300mm of precipitation is less than Napa Valley, Walla Walla, Central Otago, the Douro Valley, or even Santorini. The Limari and Elqui Valleys in Chile have less than 100mm of annual rainfall. However, recent drought conditions meant many vineyards were “left to die” without irrigation. 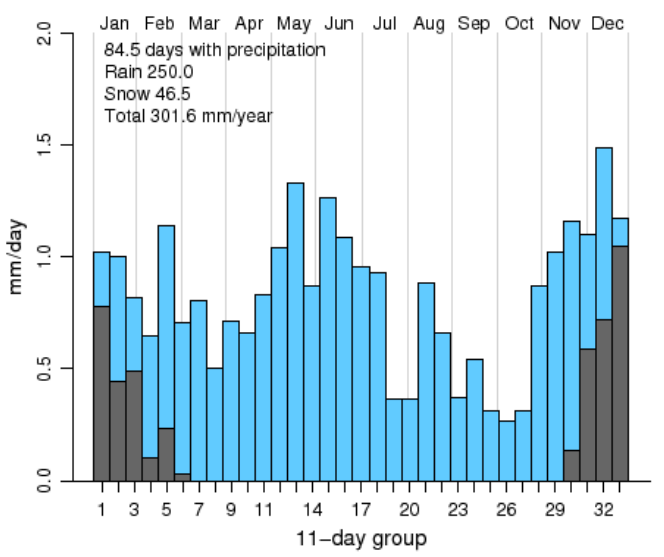 And to make things more challenging in the Okanagan, the majority of precipitation falls in the winter and spring as opposed to the hot summer months. Source: Toews, M.W. and Allen, D.M., 2007, Aquifer Characterization, Recharge Modeling and Groundwater Flow Modeling for Well Capture Zone Analysis in the Oliver Area of the Southern Okanagan, BC, page 41. This isn’t uncommon. Mediterranean climates like Santa Barbara and Napa also have rainfall predominantly in the winter. There are select sites in Napa like Dominus that are suitable for dry farming. The key is heavier soils such as clay that can retain water throughout the growing season. The confounding issue on the Black Sage Bench is that the soil, largely sand and gravel, is well-drained with very little water holding capacity. In other words, the soils do not retain much, if any, moisture. Even after a wet spring, the soil pits we dug with Dr. Paul Anamosa did not have any pooling water. Older vines will have more established root systems, reducing their sensitivity to heat and water stress. However, the water table sits at a relatively low elevation on the hillsides of the valley and, consequently, out of reach for even the most ambitious roots. According to John Pires, there is over 100 metres of sand between Sundial Vineyard and the water table. In short, irrigation is still required regardless of vine age. Quality producers, those likely to dry farm in the first place, are also the most likely to use precision deficit irrigation. We’re not guessing when we water the vineyard. Irrigation can be abused, but it need not be. Not only is there a financial and environmental cost to excessive irrigation, but there’s also negative quality implications. Carefully restricting water to each vine produces small berries with a higher skin-to-juice ratio, resulting in expressive, concentrated wines. 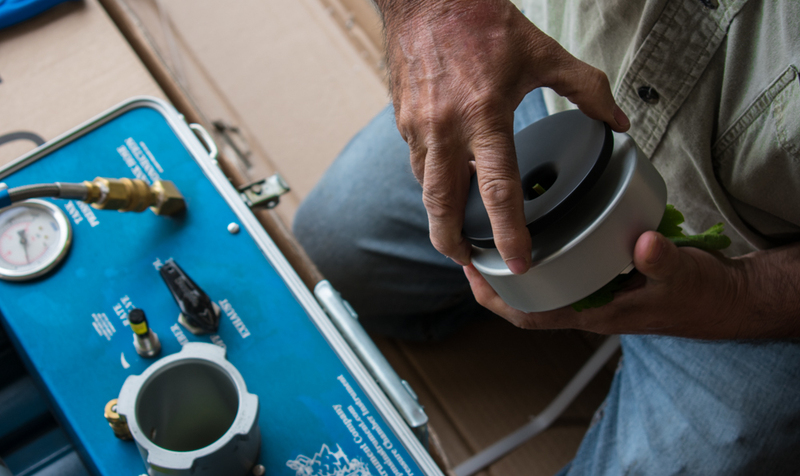 We use technology such as portable pressure bombs to take plant-based measurements, specifically analyzing the moisture content of grapevine leaves. This is done on a block-by-block basis, so we can manage irrigation with greater precision. Not all blocks in the vineyard will have the same irrigation requirements, varying by soil, topography, rootstock, clone, and grape variety. We’re sparing in our water use and selective regarding when it is applied. For example, we have not yet opened the valves this year. The overriding principle: water only when needed. Drip irrigation is used to reduce water usage and minimize water loss to evaporation. 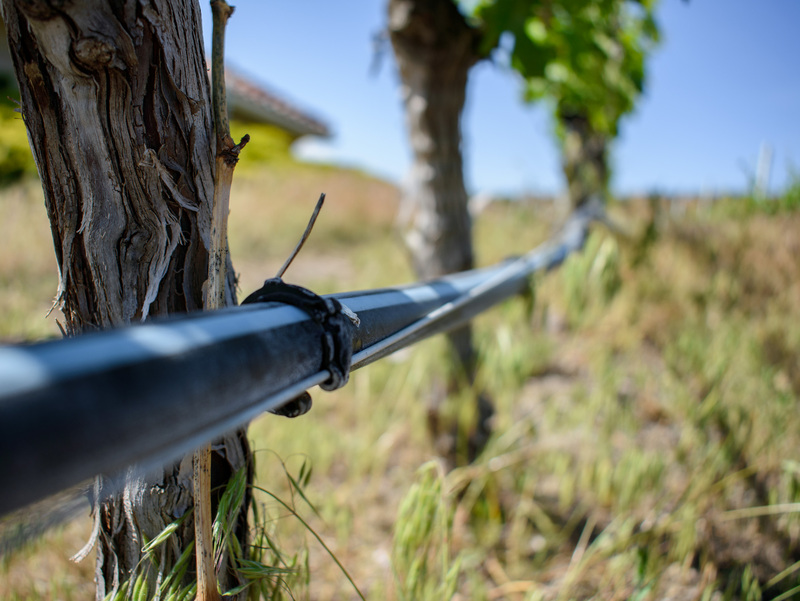 Overhead sprinklers, which spray water into the air over the entire vineyard, use 80-100 m3/hour/ha of water versus 10-20 m3/hour/ha for drip irrigation – a decrease of up to 90 percent.1 In short, drip irrigation allows us to use water to its maximum advantage. And we certainly push the vineyard – sometimes too far. Last year, a relatively cool growing season, we had to drop the crop of some vines at Phantom Creek Vineyard due to water stress. Precision also means taking risks, and not being overly cautious, in trying to reduce our water usage. Our aim is, ultimately, to become self-reliant with regards to our water usage. We’re currently preparing to drill an exploratory well on one of our properties. There is no guarantee of finding a suitable, long-lasting aquifer, but it’s an important step to control our access to water. And water is critical, since we know dry farming is not an option on the Black Sage Bench.